Miss Rylee Vivian…five is your jam. Maybe it was buckling you in to your booster seat for the first time yesterday. Or maybe it was your kindergarten round up. I was just thinking the other day how in just a couple of weeks since your birthday you’ve seemed to grow up and mature so much. You are silly and have a wonderful imagination. You are thoughtful and caring and selfless. You made my mama heart so proud when you told me in your five year interview that your favorite thing about yourself was how you liked everyone. Hear me right now, I love the person you are becoming. You are perfect. You are smart. You are beautiful. And I hope you never change. 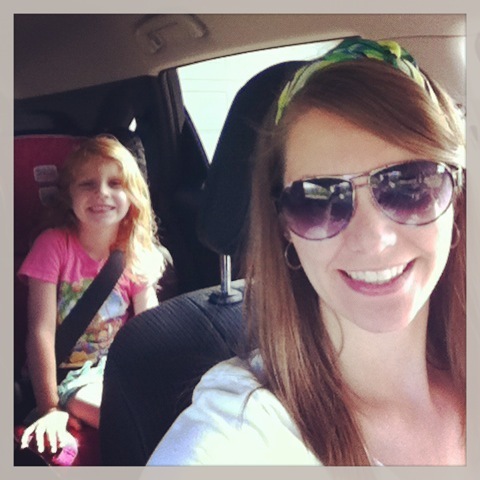 This entry was posted in growing up, Letter to my girls, montser on June 7, 2013 by katherine.